Product #1728 | SKU 322RA | 0.0 (no ratings yet) Thanks for your rating! 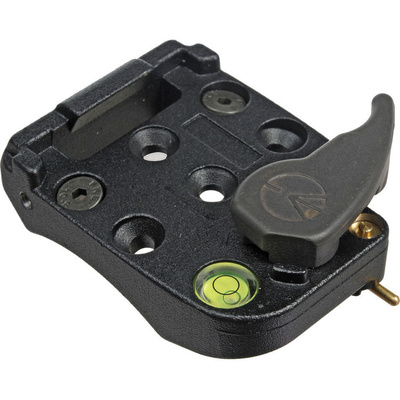 A replacement quick release or an additional camera adapter. The Manfrotto 322RA Quick Release Adapter can be a replacement RC2 quick release assembly specifically for the 322RC2 Grip Action Ballhead, or it can be used as an additional camera adapter so that the weight of your camera stays centered over the tripod, which provides a higher rate of stability, whether you're composing a horizontal or a vertical image. RC2 type plates are required for this adapter.